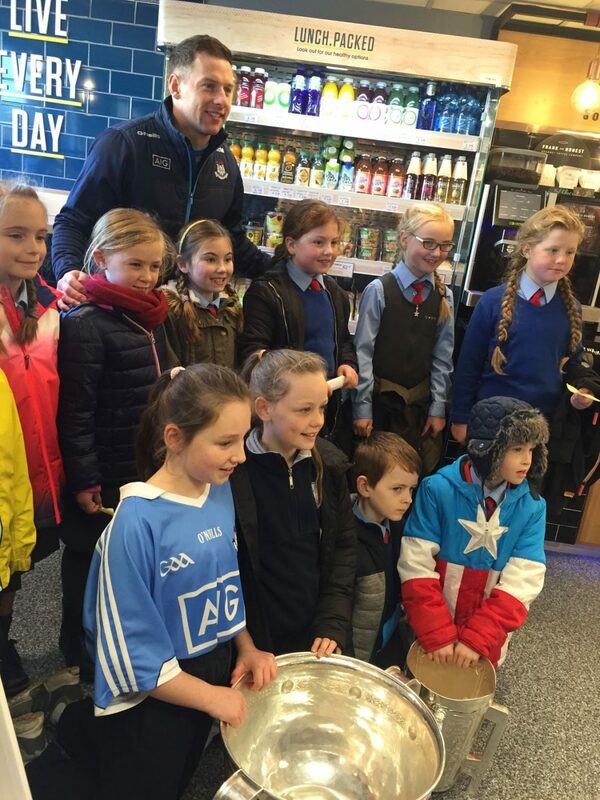 A huge thank you to Colm Dolan and all the team at Centra in Kilcock . 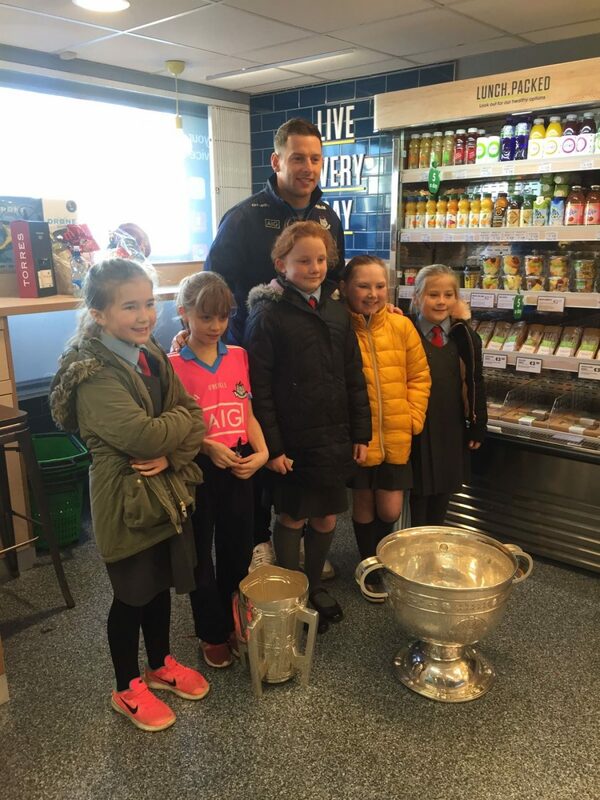 As a long-standing sponsor of the GAA Hurling All-Ireland Senior Championship, Centra has arranged visits to their local stores of the infamous Sam Maguire and the Liam Mc Carthy championship cups. This initiative gives children all over the country the opportunity to meet some of our great players and to hold the cups in their hands. 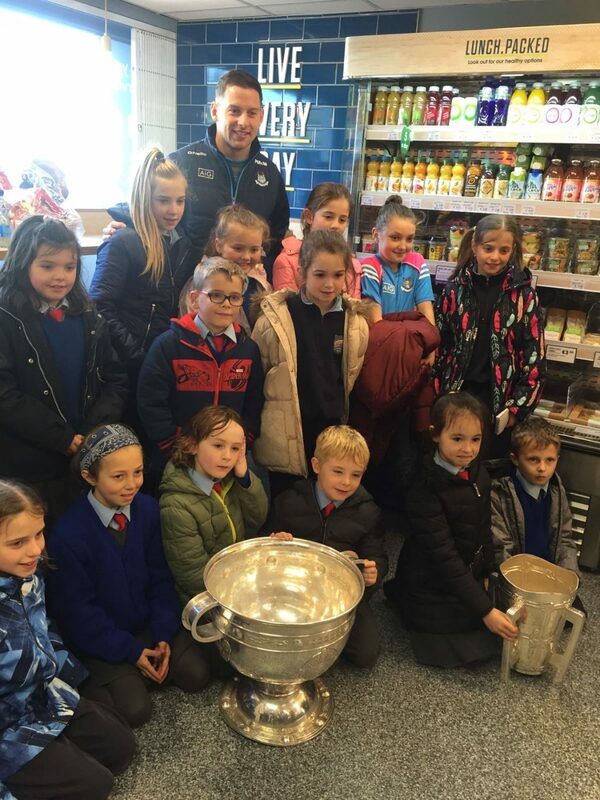 Today it was Kilcock’s turn and many children from the local schools had the opportunity to hold the cup in their hands for the very first time. 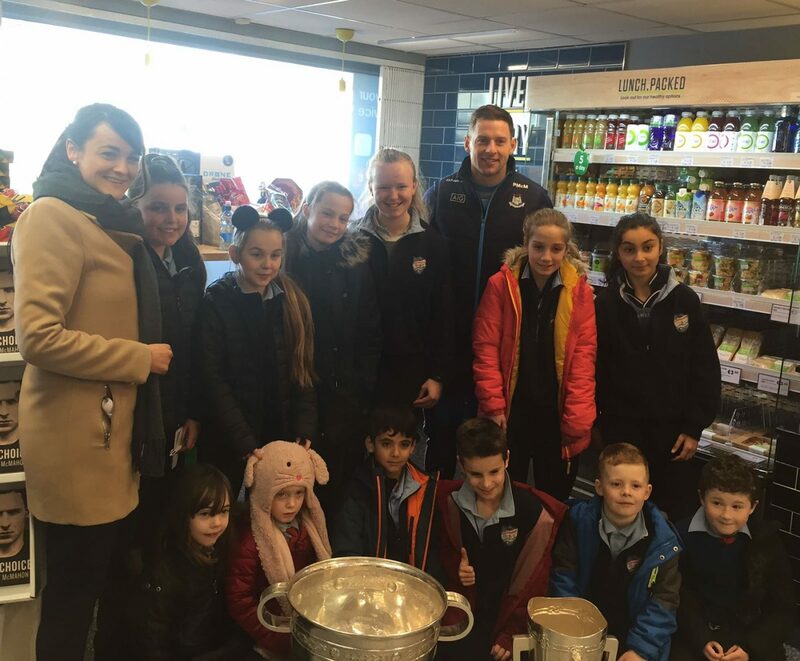 The excitement was evident as they walked from the school to Centra store where they met with members of the teams who play in the GAA Championships. 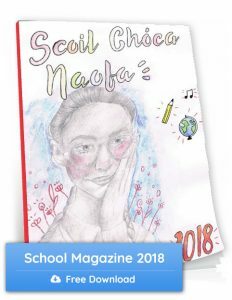 Our selection of children from Scoil Choca Naofa included our GAA team together with several GAA enthusiasts in both younger and older classes across the school. Many thanks to our teacher and GAA coach , Ms Byrne for co -ordinating the visit for our children. 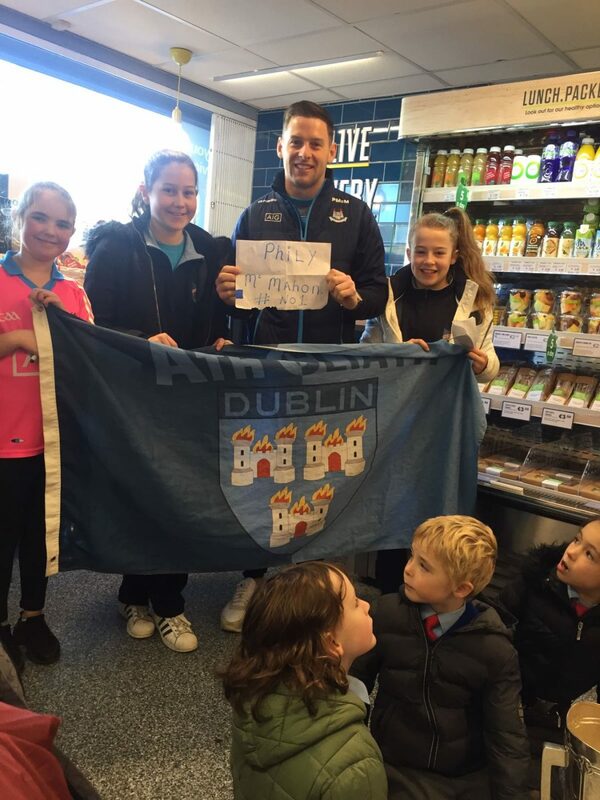 Dublin GAA player Philly Mc Mahon was the hero of the hour today. A true ambassador for his sport, he was very generous with his time and posed for lots of photos with our children. Who knows what the future holds for our children and their many talents. Maybe for some, today won’t be their last time holding one of these infamous trophies. More photographs available in school. One Response to Scoil Choca Naofa clinches GAA Championship Cups for the Day!